（C）2009 Paramount Pictures. All rights reserved. 【SUPER ８／スーパーエイト 結末まで第01段落】　The film begins as a factory worker changes the number of days since last accident from 784 to 1 day. Joe Lamb (Joel Courtney) is a 13 year old boy living in the fictional town of Lillian, Ohio. 【SUPER ８／スーパーエイト 結末まで第02段落】　The film starts just after the funeral for Joe's mother, who was crushed to death in an industrial accident. She was not supposed to have been working that day but Louis Dainard (Ron Eldard), an alcoholic who had been drinking that morning called in sick. Louis's daughter, Alice (Elle Fanning) attends the same school as Joe. 【SUPER ８／スーパーエイト 結末まで第03段落】　Four months later, just as summer break begins, unlicensed Alice uses her father's car to take Joe and his friends Charles (Riley Griffiths), Preston (Zach Mills), Martin (Gabriel Basso), and Carey (Ryan Lee) to an old train depot to shoot a scene of Charles' low budget zombie movie on Super 8 film. 【SUPER ８／スーパーエイト 結末まで第04段落】　During the production, Joe witnesses a pick-up truck drive onto the tracks towards an oncoming train, causing a massive derailment. 【SUPER ８／スーパーエイト 結末まで第05段落】　The kids approach the truck and discover Dr. Woodward (Glynn Turman), their biology teacher, behind the wheel of the truck. He instructs them to never talk about what they saw - otherwise they and their parents will be killed. 【SUPER ８／スーパーエイト 結末まで第06段落】　The Air Force arrives to secure the crash site while the kids flee. However, the commanding officer, Colonel Nelec (Noah Emmerich), finds one of the used Super 8 film boxes that the kids left behind and suspects that Dr. Woodward had someone there to film the derailment. 【SUPER ８／スーパーエイト 結末まで第07段落】　Later Nelec questions Woodward about the nature of the creature, but when Woodward refuses to cooperate Nelec has him killed by lethal injection. 【SUPER ８／スーパーエイト 結末まで第08段落】　After days of strange phenomena (pets running away, kitchen appliances disappearing, car engines vanishing, people being abducted), the Air Force commences "Operation Walking Distance" and deliberately starts a wildfire outside of town, giving them a pretense to evacuate the entire town to the local Air Force base. 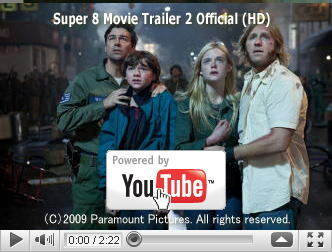 【SUPER ８／スーパーエイト 結末まで第09段落】　While there, Joe runs into Louis, who tells him that a creature abducted his daughter, Alice. The kids convince the film store clerk, as part of a deal to introduce him to Charles's sister, to drive them back to their school, where they break into Woodward's stash of confiscated items, thinking he may have hidden documents there. 【SUPER ８／スーパーエイト 結末まで第10段落】　In papers, film, and audio recordings that they find, they discover that the government imprisoned an extraterrestrial that crashed its ship on Earth in 1958. The alien only wished to return home but was instead imprisoned and tortured by the Air Force in order to learn from the creature's advanced technology and intellect. 【SUPER ８／スーパーエイト 結末まで第11段落】　One film shows that Woodward, a researcher at the time, was attacked by the alien. Physical contact caused him to form a telepathic bond with the creature, discovering that the creature only wanted to go home and that everyone would pay dearly by keeping the creature captive. By colliding with the train, he hoped to free the creature. 【SUPER ８／スーパーエイト 結末まで第12段落】　Joe's father, Jackson (Kyle Chandler) makes his way to the air base to meet with Nelec, but is placed under military arrest. While imprisoned, he subdues one of the soldiers, putting on his uniform and later firing at a propane truck to create a distraction so he can slip away from the base and head to the evacuation site. 【SUPER ８／スーパーエイト 結末まで第13段落】　Colonel Nelec and his men storm the school and capture Joe, Carey, Charles, and Martin. While the bus heads back to the Air Force base, they are attacked by the creature and the bus flips on its side. 【SUPER ８／スーパーエイト 結末まで第14段落】　Nelec's men are killed while Joe and his friends escape by breaking through the glass windows of the vehicle. The creature kills Nelec after a brief stand-off, biting his head. 【SUPER ８／スーパーエイト 結末まで第15段落】　The kids head through the town, which is now under heavy fire from malfunctioning military equipment. They enter one of the abandoned houses and are hit by an explosion which leaves Martin injured. Charles stays behind to look after Martin while Joe and Carey go to save Alice. 【SUPER ８／スーパーエイト 結末まで第16段落】　Joe finds the creature's subterranean lair near the cemetery where his mother is buried. Dozens of missing people are trapped there. 【SUPER ８／スーパーエイト 結末まで第17段落ネタバレ】　Joe manages to rescue Alice by having Carey use his fireworks as a distraction. They also rescue the town's sheriff and another woman. As they make their escape, the sheriff and the woman are recaptured by the creature. 【SUPER ８／スーパーエイト 結末まで第18段落ネタバレ】　When the creature grabs Joe, he tells the creature that "bad things happen, and it's no one's fault… I'm sorry." The creature, due to its telepathic ability through touch, understands what the boy is telling him. The creature then lets go of Joe, allowing him and his friends to escape. 【SUPER ８／スーパーエイト 結末まで第19段落ネタバレ】　Shortly after, all the missing metal reappears, as a ship begins to take form around the town water tower. Joe's necklace, left by his mother as a keepsake to him after her death, is also sucked upwards and, after a moment, he decides to let it go. 【SUPER ８／スーパーエイト 結末まで第20段落ネタバレ】　The movie ends with the star-like ship blasting off towards the creature's home planet while Joe and Alice hold hands. 【SUPER ８／スーパーエイト 結末まで第21段落ネタバレ】　While the end credits play, the movie that Charles and his friends were working on (The Case) is shown.